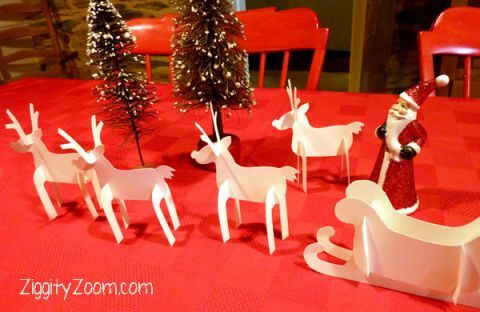 Inexpensive DIY holiday decoration to make from paper. Make this super cute white Reindeer and Sleigh for your table decoration over the holidays. Print the patterns for this cute paper Reindeer & Sleigh and trace onto heavyweight paper for a Fun DIY Christmas craft project. this is a creative kids craft project that can be made in the classroom, at home or for a homeschool project. Easy kids Christmas craft. After you cut out the pattern you could let kids paint it before assembling it and displaying it for the holidays. Print patterns. Please review the pdf- you will only want to print the page with the cutout, not the directions. We recommend reviewing in Print Preview and doing a test print on printer paper before using cardstock. Cut out patterns and trace, with pencil, onto a white cardstock. Make cuts, as shown for each pattern piece. Assemble by sliding pieces together, carefully, to make the 3D figures. 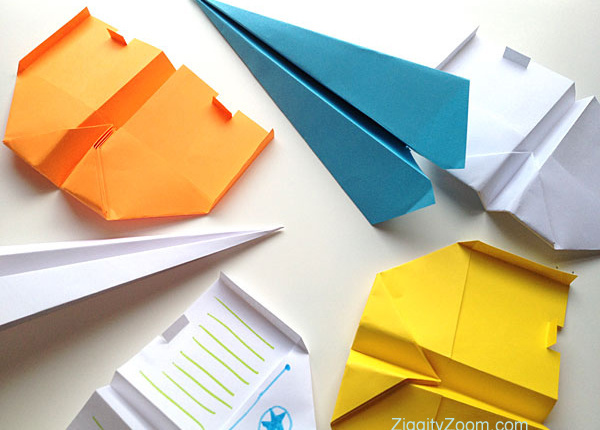 Family Tip: Our kids love making things and displaying their work for everyone to see. Each time they come into the room and see their handy work- you can see their eyes light up and face brighten. Help kids have confidence by creating things and taking pride in their work.